Our scholars engage in discovery and creativity through Coding and Robotics. 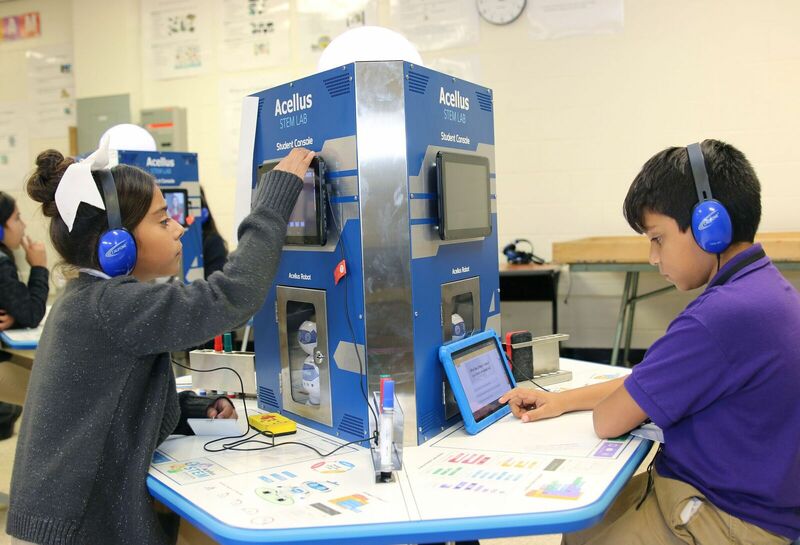 Alonso S. Perales is one of three Edgewood schools participating in the Acellus STEM/Robotics Lab curriculum. Edgewood is the only district within Bexar County to have this state of the art equipment. Our amazing Acellus/STEM/Robotics teacher, Mr. Gilbert Rodriguez not only works with students during the day, but also sponsors our Robotics after school club. The Robotics team competes in district and regional competitions such as, the Edgewood Robotics Invitational Competition, TCEA, GEAR, and First Lego League. The program is designed to prepare scholars for STEM careers through real world applications. Students learn to program a dancing robot called the Cellus Bot. Students are first introduced to basic block code to understand how simple commands are connected. The basic principles will launch students to understand more advanced programming languages. In addition, our Kinder-2nd scholars are learning basic programming concepts such as looping, critical thinking, and digital citizenship through lessons from Code.org and Everyone Can Code. STEM careers are in high demand. We are confident this innovative and challenging curriculum will build a more creative workforce that will eventually impact the community we live in. Vote for us! 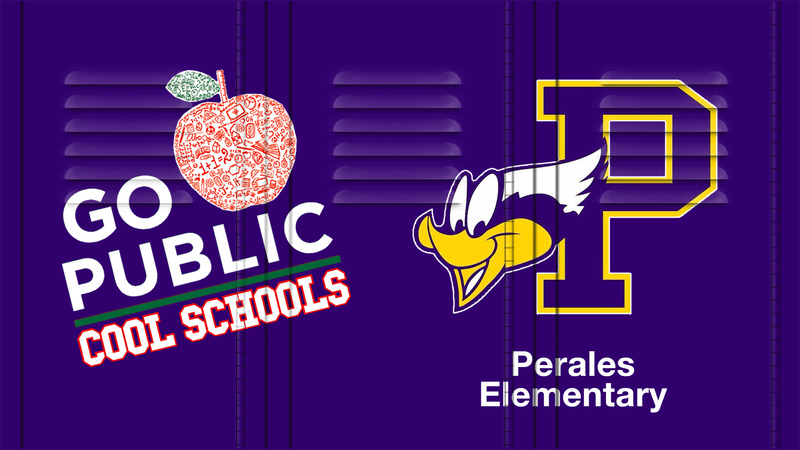 Congratulations Memorial High School for being October's Go Public Cool School. Watch SA Live weekdays at 1:00pm to see more of Memorial High School's Health Science programs.